In today's patch, we've got a troop update for you! The knights have undergone a major rework, now leaping into battle literally on their wolves. Knights will now target swarm troops above all others, and will leap over any obstructing units to reach them. 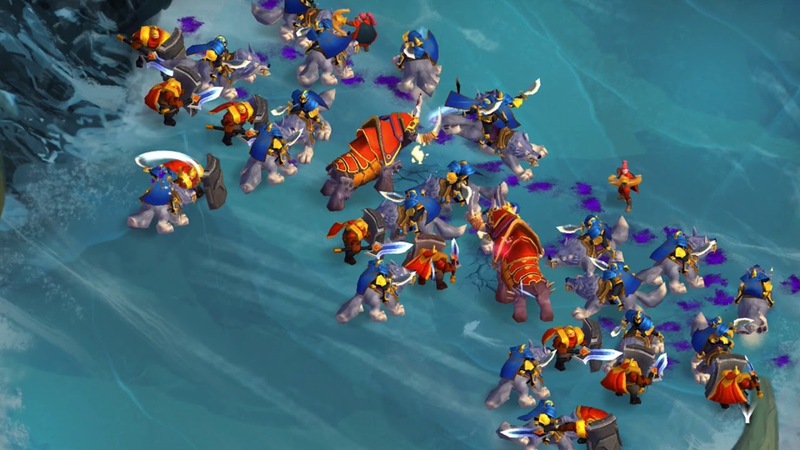 Are your enemies deploying their squishy archers behind a wall of immortals? No problem- knights will jump right over their shields and decimate the swarms. When the knights land, they'll deal impact damage in a 360 degree AOE. Their standard attack is still a 180 degree frontal arc, so they'll quickly destroy their targets before leaping to the next swarm in their range. Because of these abilities, knights are now 10 supply with newly balanced stats. We hope everyone enjoys the new update, and we're excited to see what new strategies everyone finds! If you encounter any bugs or issues with the new update, please reach out to our support team so that we can get it fixed. We're working hard on new additions to the game as well as an Android release, so stay tuned. As always, keep battlin' on!